Westgate Design - Restaurant & Deli, Jewellery, Design Centre, Cafe. Wexford, Ireland. 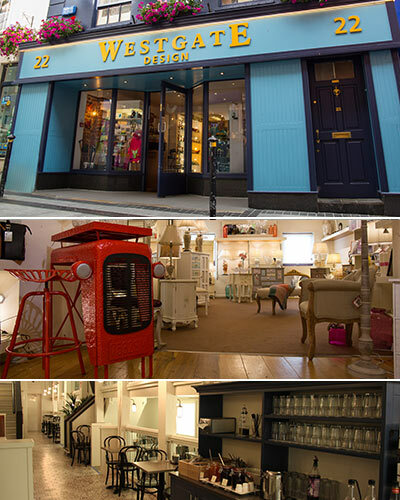 Westgate Design is situated in the heart of Wexford’s bustling Main Street. Our unique concept offers you a Design Centre showcasing the best in Irish and international giftware and design, a Restaurant and Deli featuring fresh quality food prepared daily in our kitchens, together with a growing Event Catering business. Included in our Design Centre we house our fashion collections in a relaxed and luxurious space, showing collections from top Irish designers and leading international names.